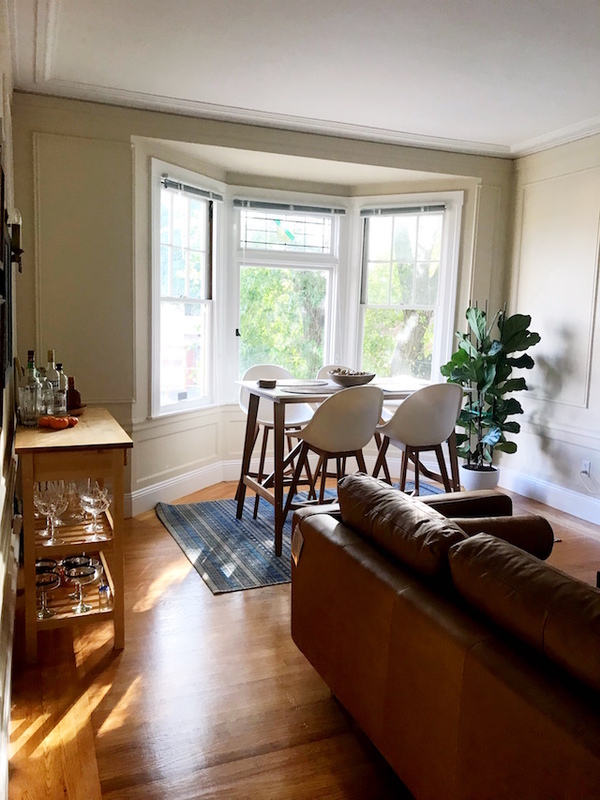 In efforts to save up for our honeymoon, we've been eating out less, and enjoying our little yard and new wedding gifts at home. We've received a lot of cheese plates and knives, clearly our family and friends know us well. This weekend I'm thinking of making one of the delicious (and gorgeous, if you ask me) appetizers pictured above. They all look so easy! Which would you make? oh that avocado one.... YUMMMMMMMMY! when are you making that for me? oooh yum i love bread and cheese, any of these crostinis look yummy! 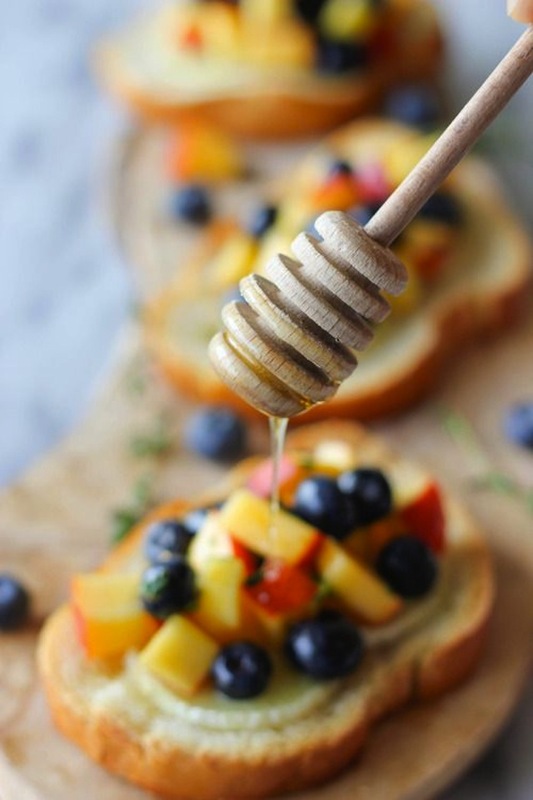 That fruit + honey one looks delish! Why oh why did I click this before lunch? I will be able to think of nothing else now! YUM! You can pretty much slather cheese on anything and I'd be down to eat it. 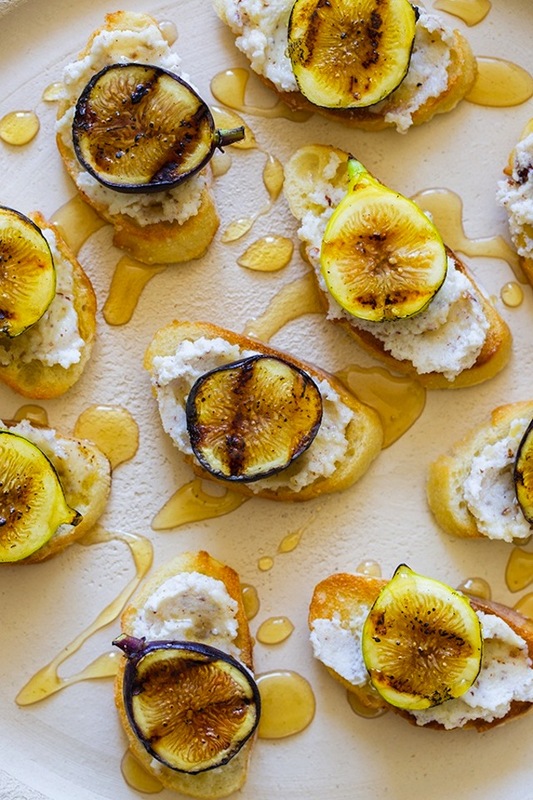 The fig and ricotta sounds tasty! 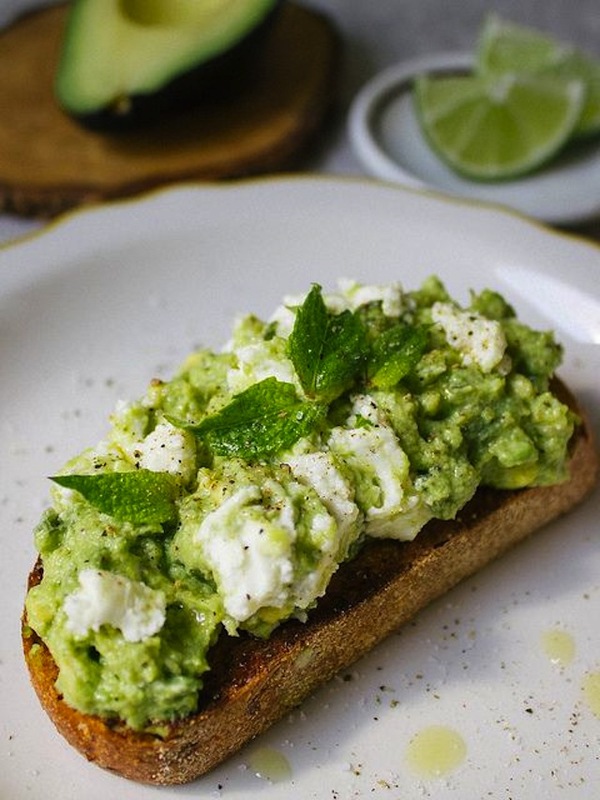 Oh yes to cheese on toast, especially homemade ricotta and goat cheese! Have a great weekend! Oh, yum and yes please. Too hard to choose one, though I can't have avocado so that brings me down to two!